Simple machines are very fun to build out of cardboard or lightweight plywood. We have lost of carboard in the MakerSpace, as well as tape and hot glue. 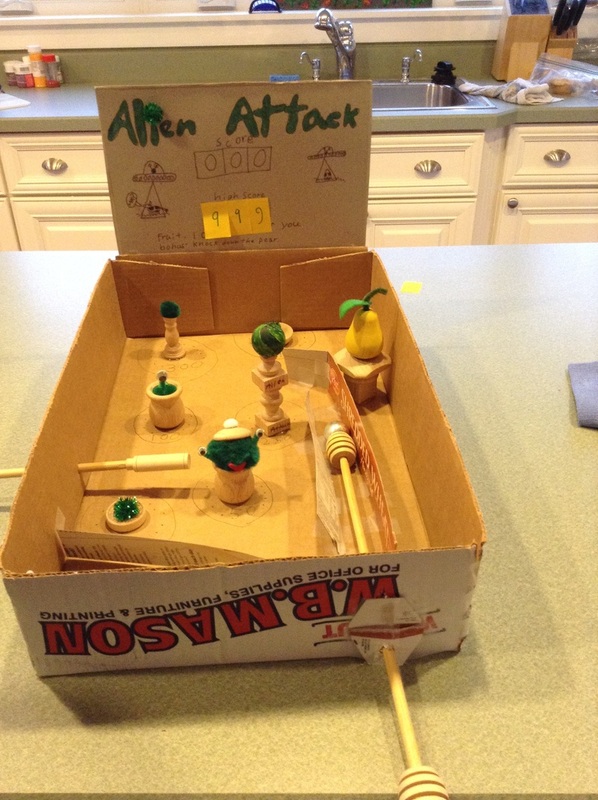 A famous kid-built example is Caine's Arcade. Check that out here. Another kid built example (cardboard and wooden shapes) is shown below.